Stand Up Paddling (SUP) is the latest thing in waterbased sport and recreation and it’s growing in popularity as punters realise the health benefits as well as the joys of this pursuit. 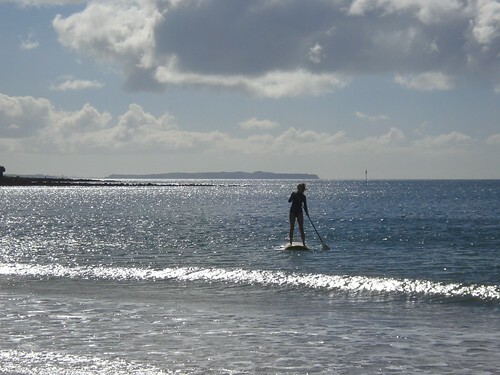 What better way to enjoy a beautiful day on the North Shore than to paddle a long board around the bays? You can do it any time of year (some of the most beautiful, calm days are in the middle of winter), and you set your own pace. Mark Jackson is a local boy who has spent the past 25 years perfecting and competing in this sport all over the Pacific. He has set up a business importing the special boards for SUP, and you can check out the goods on offer on his website. Mark has recently written an article on SUP in the first issue of Channel magazine which gives a good insight into the sport.